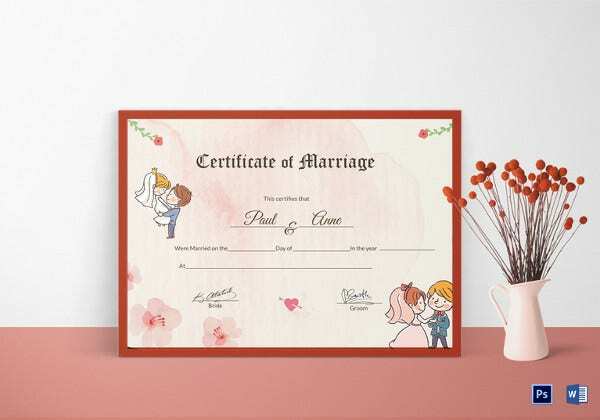 When two people become bound in a nuptial knot – get married, easily said – a marriage certificate is a must. 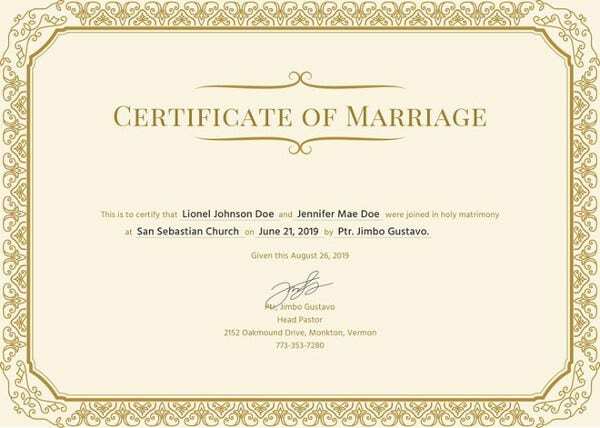 It is proof that the union has been solemnized by a recognized authority of the community or country where it took place. 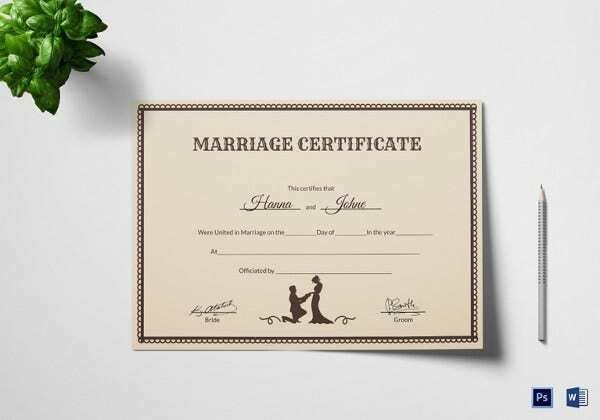 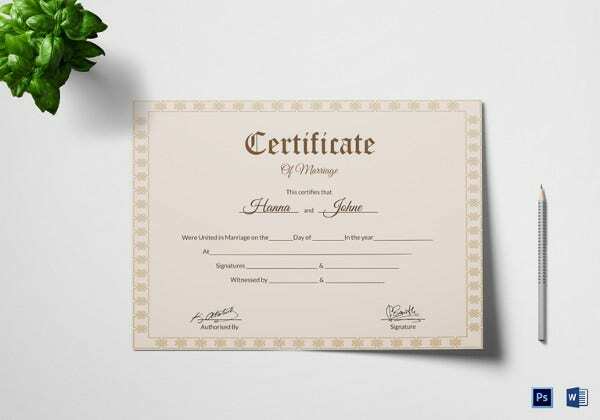 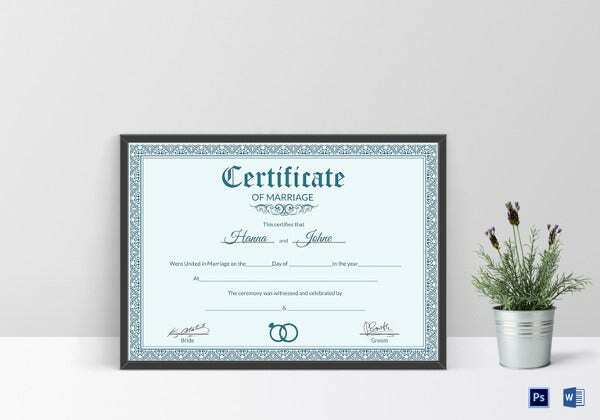 If you need to see or know what a marriage certificate looks like or contains, take a look at some readymade templates available. 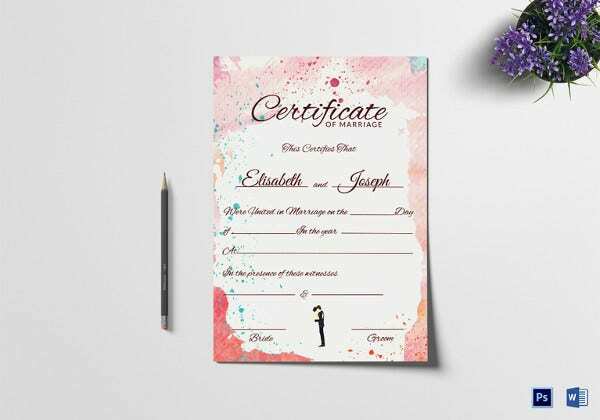 They are available in different formats, downloadable and customizable. 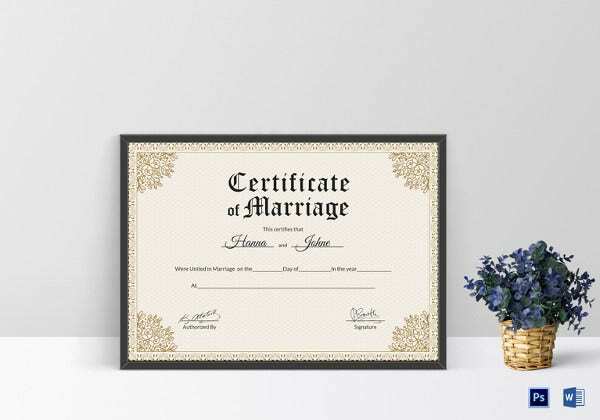 One way of keeping your family genealogy information is through marriage certificates. 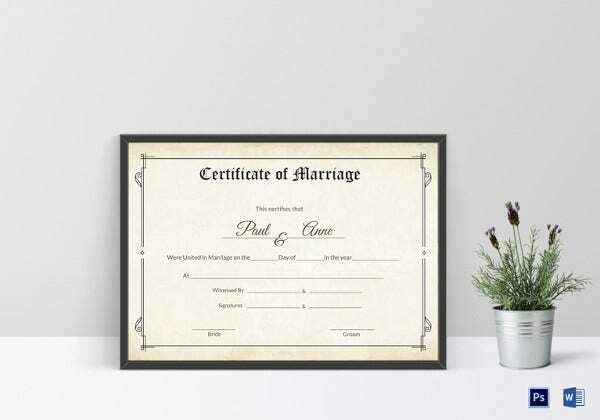 Marriage certificate templates are there to help you make your dreams come through. 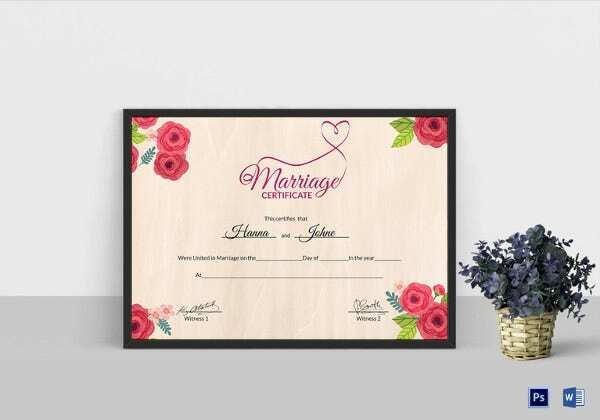 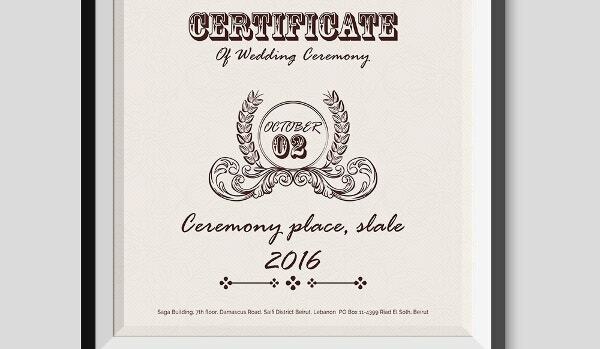 These Blank Certificate Templates is an important document that is vital for making a marriage certificate. 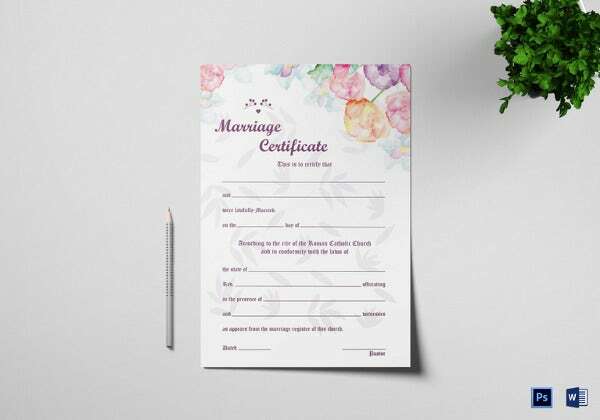 It gives you an opportunity to design an official certificate and in a professional manner with all the necessary details.Designing your legal document from the scratch is hard. 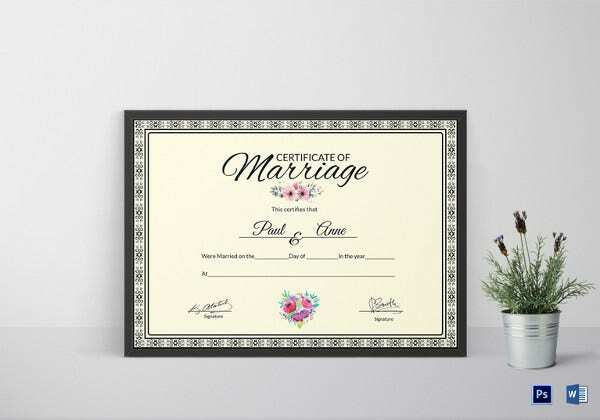 Therefore, it is a brilliant idea to use a Certificate Template Design available free for download from the internet. 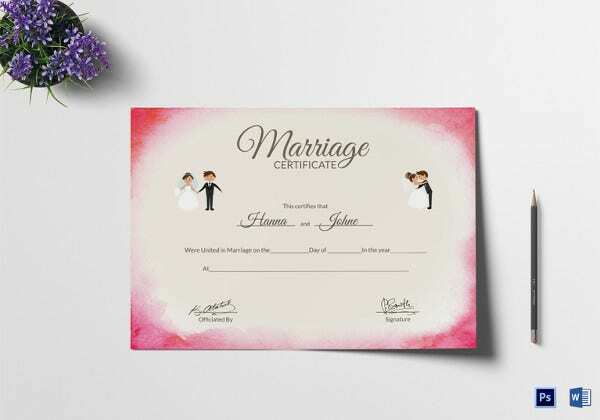 This will act as guidelines to help you design it in a proper manner.